Amber Benson co-wrote and directed the animated web-series Ghosts of Albion with Christopher Golden for the BBC (this series has been novelized). As an actress, Benson spent three seasons as Tara Maclay on Buffy the Vampire Slayer. She has also written, produced, and directed three feature films. Learn about all of these projects at her website. 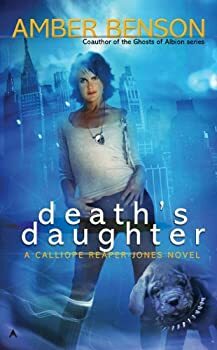 Calliope Reaper-Jones — (2009-2013) Publisher: Calliope Reaper-Jones so just wanted a normal life: buying designer shoes on sale, dating guys from Craig’s List, web-surfing for organic dim-sum for her boss… But when her father — who happens to be Death himself — is kidnapped, and the Devil’s Protege embarks on a hostile takeover of the family business, Death, Inc., Callie returns home to assume the CEO mantle — only to discover she must complete three nearly impossible tasks in the realm of the afterlife first. She thought the devil wore Prada... until she met the real one! Before I begin this review, a confession: I'm a sucker for any novel containing cute hellhounds. Calliope Reaper-Jones is living the life of a typical New York office flunky, dealing with a diva boss, less-hunky-than-advertised blind dates, and a lust for designer clothes she can't afford. That is, until her father, who happens to be the Grim Reaper himself, is kidnapped and Calliope is swept back into a dangerous supernatural world she's spent her entire adult life trying to escape. 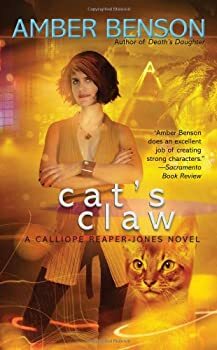 In Cat's Claw, Amber Benson picks up right where she left off in the tumultuous life of Calliope Reaper-Jones: office drone, wannabe fashionista, and daughter of Death himself. As the novel begins, Calliope learns that her maybe-boyfriend Daniel may not be as dead as he seems, Cerberus wants a favor in return for the hellhound puppy Calliope stole, and her parents have enlisted an eccentric "aura specialist" to train her in magic. Of course, everything is even more complicated than it sounds, and soon Calliope is on a mission to right a wrong that dates back to ancient Egypt. 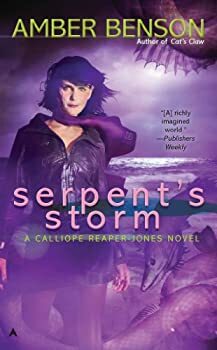 Calliope Reaper-Jones’s life takes a turn for the grim in Serpent’s Storm, the third book in Amber Benson’s series about the daughter of Death. These books have always featured some serious content, and Serpent’s Storm still contains some humor, but overall this is the most serious Calliope book so far. The beginning is a little annoying, with Callie in full-on flippant mode, bored with her boyfriend Daniel for a rather obnoxious reason. It isn’t long, though, before Callie’s life is irrevocably shaken up. Benson yanks most of Callie’s “security blankets” away in a cascade of tragedies and betrayals. Callie now has to take on great responsibilities while trying to figure out who is on her side and who is a secret enemy. Ghosts of Albion — (2004-2006) Amber Benson and Christopher Golden. Publisher: Even death could not stop Britain’s greatest defenders. In 1838, William and Tamara Swift inherit a startling legacy from their dying grandfather, transforming them into the Protectors of Albion, mystical defenders of the soul of England. But the shocked, neophyte sorcerers also inherit unique allies in their battle against the dark forces. Fighting alongside them are the famous — even infamous — Ghosts of Albion: Lord Byron, Queen Bodicea, and Lord Admiral Nelson. When strange and hideous creatures appear in the slums of London, an unholy plague threatens to launch an epic battle that may rage all the way to Buckingham Palace… and beyond. Time is running out as William and Tamara must learn whether their friends will stand beside them, or seduce and betray them. The Seven Whistlers — (2007) Publisher: Legends say that on stormy nights, or on sunsets, there sometimes comes a strange whistling noise in the sky, followed by sightings of enormous black dogs. But these are no ordinary dogs. They are demonic things, hounds loose from the Wild Hunt, and they are searching for lost souls. Ill fortune will befall any who encounter them, one by one. They are rarely sighted more than one at a time, and if all seven should come together, it will mean the end of the world. In the picturesque New England town of Kingsbury, Vermont, a young woman named Rose Kerrigan mourns the death of her grandfather, the sweet but strange old man who raised her. She’s never been able to get along with her cold, distant grandmother. In the wake of Walter Kerrigan’s death, the town is beset with strange occurrences, stormy weather, and eerie whistling in the night skies. Sightings of a huge, black hound are reported, followed by incidents of terribly bad luck, accidents, and unpleasant coincidences. Perhaps this is why Rose’s grandmother has been acting so strange — in addition to her grief, she’s deeply unsettled by the goings-on in Kingsbury. At least, this is what Rose and her tight-knit group of friends believe, when they discuss such things at the coffee house where they hang out together. 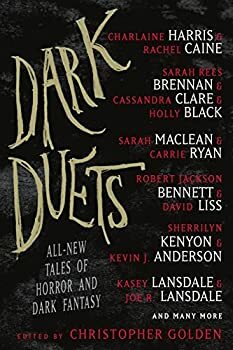 Some of these friends — people Rose has known her whole life — have experienced some of the unpleasant, and yet also wonderfully strange, events happening in town. Weird, magical stuff. Soon, Rose will learn the legend of the Seven Whistlers. They’ve come to Kingsbury, Vermont, in search of a soul that has been hidden from them, and they will not leave without it. First there was one, then two…but now, as Rose becomes more and more anxious, people see three of them together, and then four. If they don’t find what they’re looking for soon, perhaps all seven will gather in Kingsbury. A 40,000-word novella from the authors of GHOSTS OF ALBION. Among the Ghosts — (2010) Ages 9-12. Publisher: The New Newbridge Academy has a strange, storied history and a gothic atmosphere, and since Noh’s aunt is a teacher there, it’s where Noh will be spending the summer while her father travels for work. Noh, slightly eccentric herself, enjoys exploring the campus, but things get spooky when she meets several other children near an old burned-out dormitory. There shouldn’t be students around in the summer, right? But these kids turn out to be ghosts, and they need Noh’s help. She is the only “realie” who can see them—and, now that the ghosts have started to disappear, the only one who can save them. Zombies vs. Robots: Mademoiselle Consuela and Her Army of One — (2012) Publisher: A Zombies vs. Robots original short story by Amber Benson! Like a princess in a tower, young Consuela lives alone on a secluded island with only her loyal Warbot for company. And then the pirates come. Collect all the Zombies vs. Robots 8×8 short stories and don’t out on Zombies vs. Robots: THIS MEANS WAR! CLICK HERE FOR MORE BY AMBER BENSON.